Totally chuffed! I just lined up three books on big data and am looking forward to their being my winter tech reading and related book reviews. The theme for the collection of books is big data. I have been working with data (big and small) for all of my career, and my 1996 undergrad degree is in database management systems (DBMS). Recent projects have exposed me to big data, enterprise environments, global internet standards and open source deployments. A few years back I did a bunch of work with building online learning communities, mobile web and collective intelligence. I even found the time for a bunch of reading in the subject, and wrote reviews for the books I read. So with the acquisition of these three books I look forward to sharing my data experience through three book reviews. Stay tuned! 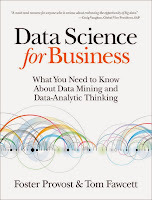 Data Science for Business - I particularly like how this book focuses on big data in the business environment, and how it relates it back to the traditional terms of data-mining and data-analytics. Its the business focus that really attracts me, event though I find myself with more of a socialist bent, I still see the value of competitive advantage, ROI, analytics feeding strategy, etc. This book looks to focus on all this, with the addition of the technical and algorithmic details of big data in the business environment. 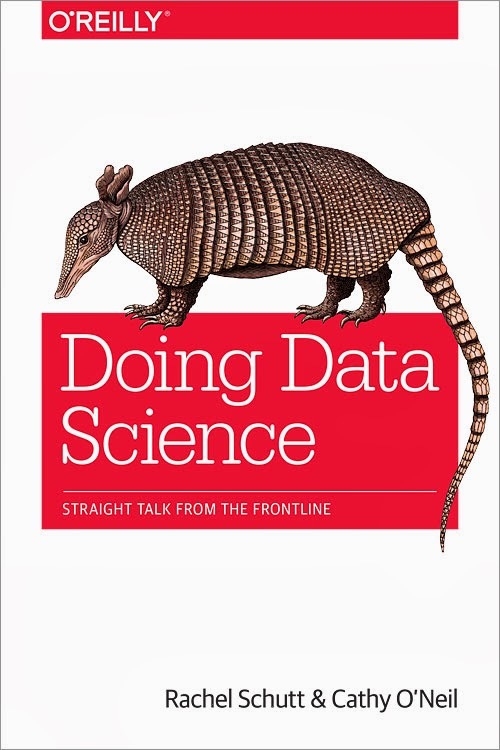 Doing Data Science - I particularly like how this book focuses on the hands-on front line of data science. 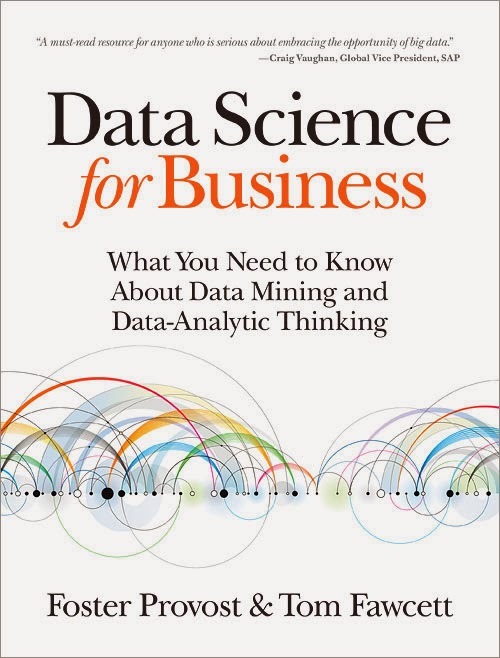 It has a great amount of focus on implementation and the use of the big data technologies and approaches, all of the keywords floating around in big data and present within this book. If you are thinking about Machine Learning, Naive Bayes, Modeling, MapReduce, Hadoop, etc. The number of case studies that are present in the book look to provide good reflective activities to deepen understanding. 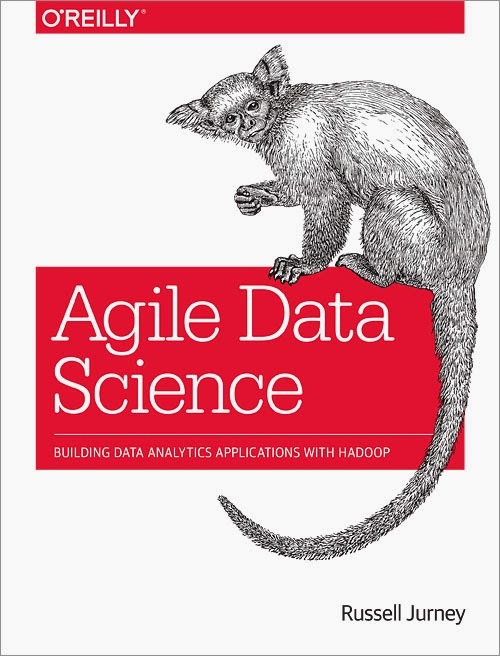 Agile Data Science - I particularly like how this book brings together agile approaches, big data, analytics and hadoop. 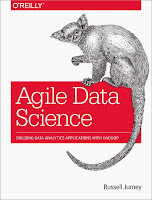 If you've been following my blog for any length of time you know my experiences and belief with agile approaches, so I am happy to see an agile approach to data emerging. I am also looking forward to how the following technologies are folded into the process of running an agile project for data science; SQL NoSQL, Apache Pig, MongoDB, ElasticSearch, GitHub, AWS, etc.